An Elliott Brothers (Elliott-Automation Group or Elliott Computing Division) model 503 "ULTRA HIGH SPEED DIGITAL COMPUTER FOR SCIENCE AND INDUSTRY" was installed at the Hydro-University Computing Centre (HUCC), Hobart, Tasmania in January 1964, with commissioning tests conducted in May 1964. The machine appears to have been operational shortly afterwards, either June or July 1964 (ref: minutes of the Hydro-University Computer Board, Director's Report 22-Jan-1971). The HUCC Elliott 503 operated from 1964 until 1977, a fourteen year stretch. In September 1975 a Burroughs B6700 was installed as a replacement for the Elliott 503. This commissioning date was later than planned due to ongoing building delays as the Burroughs and the supporting University Computing Centre was located in a new purpose built building. Even in late 1977 the Burroughs B6700 was using the plotter attached to the Elliott 503 as an output device (in conversation with Rod Bilson 4-March-2010 and clarification from Brian Marriott). The RAP is the operating system of the Elliott 503. From Michael Miller (UK) comes a copy of the Elliott 503 Reserved Area Program (RAP), a critical piece of Elliott 503 software infrastructure. Many thanks to Michael for preserving this valuable and essential piece of Elliott 503 history. The Reserved Area Program, in conjunction with the MESSAGE button, provides a means of controlling the 503 computer. Communication, between the operator and the computer, is through a directly coupled, electric typewriter. Pressing the MESSAGE button causes an entry to the RAP which then expects a message. The RAP contains an Input routine which will read a relocatable program tape and place the program in the first available space at either end of the available store. Provision is made for several programs to be in the computer store at the same time and communication between such programs is facilitated by means of a system to which each program is linked on being stored. Each program is called by a name, which is held in the program itself, and hence the user does not need to know the stored position of any program. The RAP provides a means of entering the programs so held, and when the running of a program is completed, control of the computer returns to the RAP, where it remains until the next message is received through the typewriter. On graduating from Cambridge, I joined the Post Office Research Station at Dollis Hill in July 1965 and was almost immediately sent on an Elliott Algol programming course so that I could do some simulation studies on the frequency stability of digital communications networks – the foundation of today’s global network! I had about 25% of the available time on the DH 803 machine, sharing with a guy (André? Deutsch) who was doing character recognition for postcodes! Everything was done by paper tape and Friden Flexowriter. The program output was a collection of numeric data showing the shifts in frequency over time. This needed plotting, which the Drawing Office refused to do. So the work was transferred onto the 503 at 2-12 Gresham Street (PO Engineering’s HQ) in preparation for production runs on the 503 at Elliott’s factory at Borehamwood, which had a plotter. The PO’s 503 was mainly used for teletraffic simulations, using the Elliott Simulation Package (ESP) – in effect, “if 100 calls arrive at random times, how many will get through a busy network of so-many lines between London and Birmingham”. It had a core backing store of 64k words of 39 bits. The Borehamwood machine cost a whole SIXTY pounds (£60) per hour in the ”cheap rate” between 0100 and 0300. As this was 10% of my annual pre-tax salary of £600, that was all I was allowed access to. In all, I must have had over 12 hours use of that machine. My program, which I developed in 1965-66, took about 20 minutes to calculate a collection of data and a further 20 minutes to plot it out. The interface was the Elliott Plotter Package with a few ALGOL procedures such as PENUP, PENDOWN, DRAWLINE(x,y), MOVEPEN(x,y) etc. These were implemented as sequences of ELLIOTT(a,b,c,d,e,f,g) procedure calls. It occurred to me that if I could modify the plotter package to place the “up, down, north, east, south, west” commands in the backing store and use the interrupts on the 503 to tell me when to pull the next plotter action out from a circular buffer I could double my machine productivity. I used ELLIOTT instructions to set interrupt masks and so forth but found that after a short period of productive plotting the interrupts were turned off and my program stalled. Accordingly I dumped out the RAP into a binary array, converted it to machine code and spent many train journeys to and from the office looking over the code to understand it. served Area and then executed it, bypassing the lockout on writing into the RAP storage area except when in supervisor mode! Eventually I did get the multi-programming to work, but by then was convinced that an analytical approach was needed to solve the synchronisation conundrum (“Could a stable network be built”) and spent the next 3 years at Warwick University (Sept 1966 to Aug 1969) getting a PhD on that quest. High quality brochure found in a recent haul of Elliott 503 documents. Thanks to Eric van der Meer for finding. Complete image scans of an Elliott 503 FACTS booklet with transcribed text. Thanks to Brian Marriott for locating this copy. Two lists of deliveries have been found sourced from Elliott Automation, however the customer names and delivery dates (at the year level) are in conflict between the two lists (see customer deliveries below). Both lists cover differing periods up to (possibly the end of) 1966. The Elliott 803C was understood (from a post in alt.folklore.computers) to be a 503 under the "skin" and could be field upgraded to a 503 - whether these upgrades were ever included in the lists referenced above or otherwise documented is unknown. An additional machine from 1967 (listed in UK Hansard) has been listed at Surrey University. Elliott Brothers merged with English Electric in 1967, so this year may have been the lat year the Elliott 503 was manufactured or delivered. Surrey University was Battersea College of Advanced Technology prior to 1966 (Thanks to Simon Lavington for clarifying). Elliot 503 delivery details 1963 through 1966, information extracted from CCS-E4X5 compiled by Our Computer Heritage. A total of 32 machines delivered during the period of 1963 to 1966. Simon Lavington helpfully noted that FL64 appears to have Elliott 803 machines mixed in with model 503 which would explain the overlap and confusion between the two lists. Picture from the Journal of Simulation by BW Hollocks. The "...or" in Cybor House stood for Operational Research. "Cyb.." was for Cybernetics. "...later in 1964 Cybor House installed an Elliott 503 (Figure 9) to replace the Pegasus, but initially using the old Pegasus magnetic tape drives. Tocher had to design and lead the building of an operating system for the new machine since one was not forthcoming from the manufacturer. The 503 was then used as the platform for the development of GSP Mk.3 which was released in 1967 (Tocher, 1967)." One example use of this machine was to conduct finite-element analysis to optimise the amount of cement needed to construct dams used in hydro-electricity generation in Tasmania. The cost of the machine was recouped many times due to the reduction in the amount of construction materials. Italy NATO FL64: La Spezia, city in northern Italy. FL64: 32,000 words of auxiliary memory, 2 printers, 6 magnetic tape units. Michael Miller notes reference the Post Office HQ is at 2-12 Gresham Street and where the 503 was located. The 503 was mainly used for teletraffic simulations using ESP (Elliott Simulation Package). MM notes that the "...core backing store of 64k words". FL64: University of Wittenburg/Halle (Leipzig), 2 readers/punches, 4 magnetic tape units, 16,000 words of auxiliary memory. Tony Hoare (email: 11-May-2010) noted that an Elliott 803C was delivered to Harland and Wolff (Belfast Shipbuilders), and subsequently passed to the electronic engineering department at Queen's University Belfast where it was used by Professor Ryan. Tony subsequently caught up with this machine and provided technical advice to Professor Ryan when Tony joined Queen's in 1968. The 503 is the most powerful in the present range of the Elliott solid state computers. While primarily designed for scientific work it is fully adaptable to commercial applications. It is very fast and is capable of controlling a large range of peripheral devices. Installation cost: Included in price. Floor area average complete system: 600 sq. ft. Maximum floor loading: 250 lbs. per sq. ft.
Power requirements: 9.2 - 35 kVA. Addition (fixed point): From 7.2 usecs. Multiplication (fixed point): From 34.8 to 46.8 usecs. Division (fixed point): From 68.7 usecs. Addition (floating point): From 13.2 to 30.3 usecs. Multiplication (floating point): From 31.5 to 41.0 usecs. Division (floating point): From 60.9 to 61.8 usecs. Magnetic Tape Handlers Speed: 60,000 ch/sec. Line Printers Speed: 330/1250 l.p.m. Magnetic Film Handlers Speed: 4300 c.p.s. Card Read/Punch Speed: 300 c.p.m. Card Reader Speed: 340 c.p.m. Graph Plotter Speed: 3" per sec, accuracy .01"
Paper Tape Reader Speed: 1000 c.p.s. Paper Tape Punch Speed: 100 c.p.s. over 200 library and complete application programmes. Same instruction code as 803 but speed of operation is nearly 100 times greater. There are a number of interrupt lines which not only permit running of programmes in parallel but also are used in connection with on-line operation of the 503. Selling Organisation in Great Britian: Elliott Automation Computers Ltd. 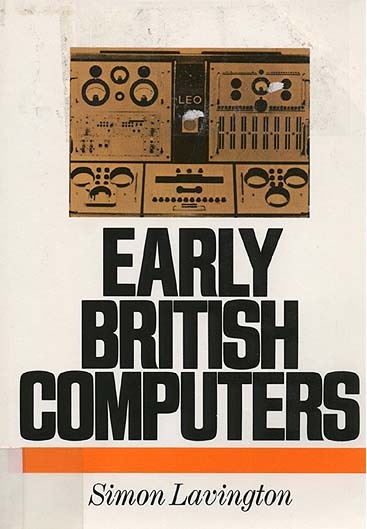 Early British Computers - A description of the early beginnings of Elliott Brothers with pictures. Elliott 503 Project ToDo list - big list of things to do, ideas, wishlist, and some of what has been done so far. Contact all the customers identified as receiving 503s to see if any artifacts still exist. Find user developed software for the 503 - particularly interesting would be the list processing software, the UK economic simulator, etc. Find more photographs of the 503 and peripherals. Develop a 503 specific simulator (probably based on an existing 803). Digitise paper tapes - Brian has at least one of the ALGOL tapes, this digitised version can then be compared with the 803 ALGOL that Bill recovered. Reconstruct an annotated listing of the ALGOL compiler - perhaps based on BillP's work. Construct a catalogue of all the documentation - there are multiple versions of some documents. Find a copy of FEAT - the FORTRAN to ALGOL translator. Finish photographing the engineers display and console typewriter. Obtain replacement RETURN Key for IBM Type 13 console typewriter. Develop a detailed description of the 503 and its differences to the 803. Attempt to discover more about the Elliott 803C model which is claimed to be a 503 under the skin and field upgradeable. Find and recover the Elliott User Program Library. Schedule a visit to UTAS to view and scan the UCC scrapbook of old photos. Research the history of the 503 at UTAS - Brian has found a lot of material which will help with this particularly its role in fine-tuning the Hydro's dam construction projects. Construct a timeline for the 503 in Tasmania. Over 1,500 pages of documentation scanned by Eric van der Meer. More documentation found and scanned by Brian Marriott. Contacted TMAG about the two missing hardware volumes. A copy of Reserved Area Program (RAP) now located - thanks to Michael Miller and Peter Onion. Write to Tony Hoare to get more details on the software history. Tony introduced Simon Lavington who is currently completing a history of Elliott Brothers computers.